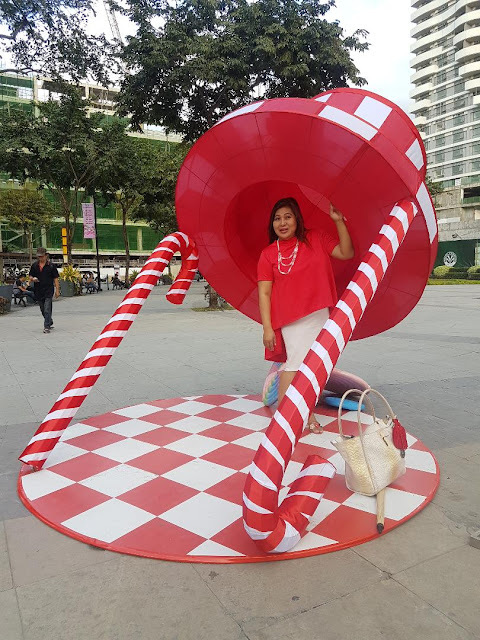 Christmas is here again and as early as now, I already schedule my jam-packed activities like holiday shopping, reunions, attending different events, and Christmas parties. Despite the busy days ahead, I will make sure that my OOTD is still on point. Now, if you want to look on-trend and be comfy at the same time, your best bet is to go with the athleisure look. Below, we’ve rounded up some fresh tips on how to style up your athleisure game these holidays based on the hottest trends out there. One thing that you should remember about color blocking is that you should never overdo it. Select two to three hues that you’ll work on and that’s it! Best to pick solid colored track pants to make you look sporty in a snap. Pair with the pants a solid colored top as well. 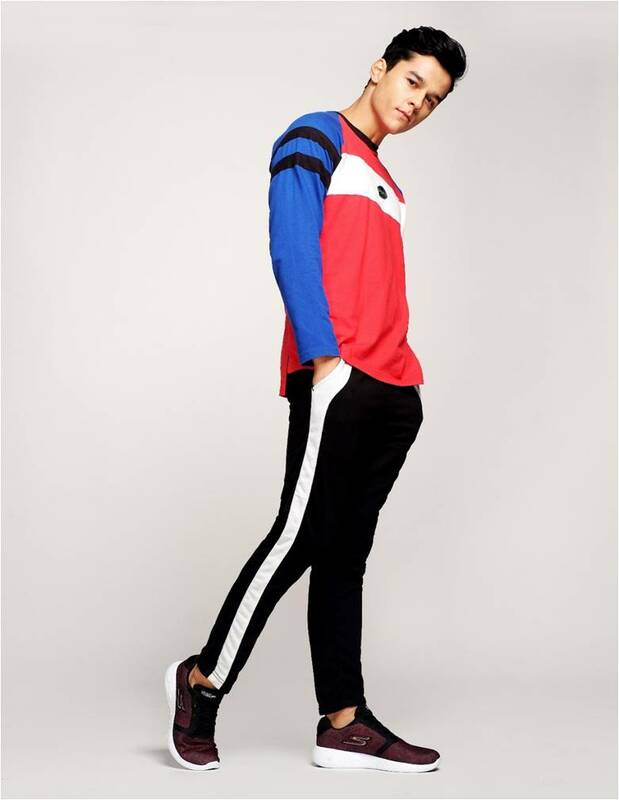 Don’t forget to make the look sportier by donning a pair of Skechers Sport GORun or BOBS Squad Double Dare—chic from the gym to the streets, both are made from lightweight, flexible materials to keep you looking and feeling awesome. Nothing says retro sport style quite like the windbreakers and sweatshirts from the ‘90s. And now that ‘90s trends have made a resurgence, you can get that vintage stuff out of the closet and wear it loud and proud. Of course, these athletic-inspired items are best paired with equally sporty shoes. For the gents, we suggest you go for the Skechers Elite Flex Hartnell. Meanwhile, for the ladies, choose the BOBS Sport Squad that are minimalist enough to pair easily with a variety pieces. The easiest way to style up and add interest to your athletic wear is to mix and match it with your favorite casual pieces. For example, you can pair your track pants or leggings with dressier items such as a midriff-baring top for the ladies, and a denim jacket for the gents. Maintain the athleisure vibe by wearing your fave Skechers Sports Pair: a sleek GORun Mojo or the knitted Elite Flex Hartnell. Both pairs feature a well-cushioned, lightweight feel that will get you from a quick cardio session to chill dinner, to a night of dancing! Holiday season is here again and we need to think what to give to our family members, relatives, friends and officemates. 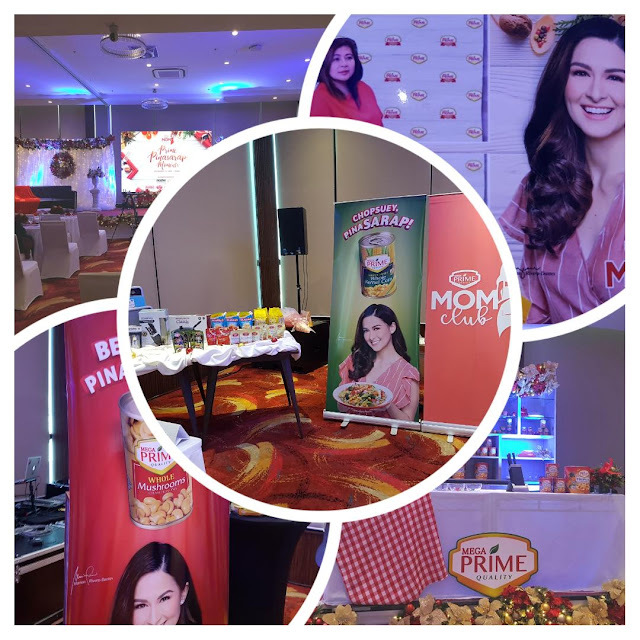 I was so thankful to attend the Prime Mom Club Wokshop last November 17 at the Prime Hotel Grand Ballroom. I was only able to attend the morning workshop and I know now how to make key chains. Also the workshop was especially designed to help moms make their Christmas celebrations extra memorable with pinasarap moments. Among the speakers was the interior designer Via Pacheco, one of the founders of Maartsy, taught us on how to make holiday trinkets and charms. These handmade works of arts may be sold for profit, but will also brighten up any Christmas tree and home. 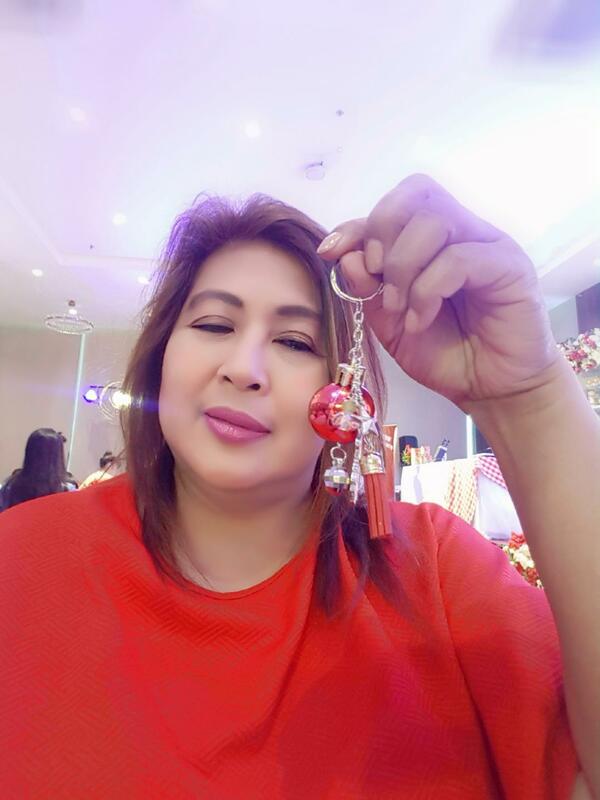 Moms were taught the basics of making holiday jewelry keychains as well as where to source their jewelry designs and compute for the right price! Maartsy started in 2015 as a creative social media page, but eventually evolved into giving craft workshops for the weekend artist in 2017. The Prime Mom Club workshop captures Mega Prime’s commitment to help moms improve their skills as homemakers within and beyond the kitchen by offering information-packed, interactive events. 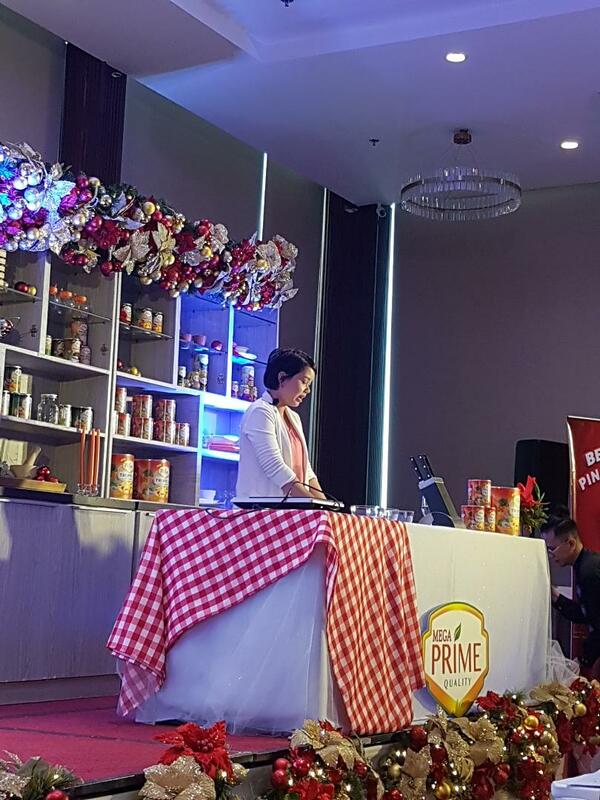 Not only are Prime Moms treated to a wide range of privileges, they also enjoy perks such as entrance to Mega Prime Exclusive events featuring experts, a Special Prime Mom Club ID, a monthly newsletter compiling exciting recipes and many chances to receive special gift items and products from Mega Prime. 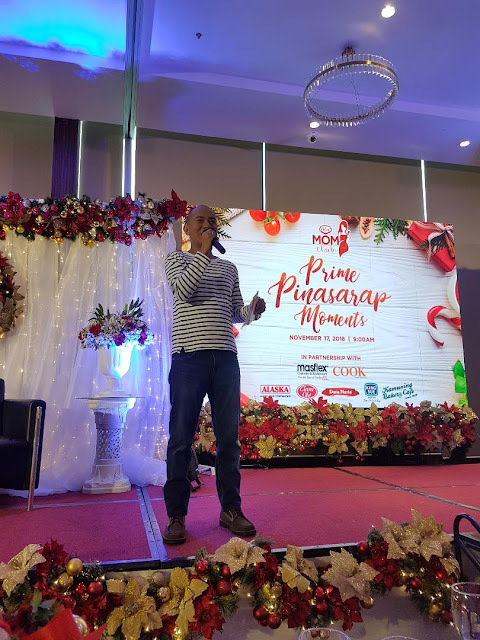 Among the sponsors of the holiday edition workshop are Alaska, Clara Olé, Doña Maria, King Sue, Kamuning Bakery, Masflex, and COOK Magazine, who also provided giveaways and raffle items to delight the participants. Over the years, Mega Prime has been a steady partner of mothers and homemakers. Since 2016, the company has brought easy-open canned vegetables such as Whole Mushrooms, Pieces and Stems Mushrooms, Whole Kernel Corn, Cream Style Corn, Green Peas, Garbanzos, canned fruits and canned sweet preserves to the lives of Filipinos. Recently, they have launched a new product line comprised of sauces/condiments and noodles. 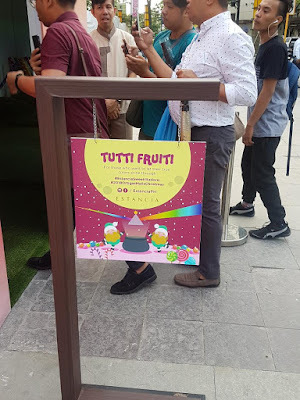 Their thrust of continuously launching delicious and quality products that come in innovative and premium packaging has been their foremost consideration when launching new products. You want to become a mompreneurs or if you haven’t yet, join the Prime Mom Club at ww.primemomclub.com to get special perks as well as opportunities to join an interactive, growing community of like-minded home-makers, where you and other and Prime Moms are encouraged to discuss and share insights and your very own helpful nuggets of Prime Mom wisdom. 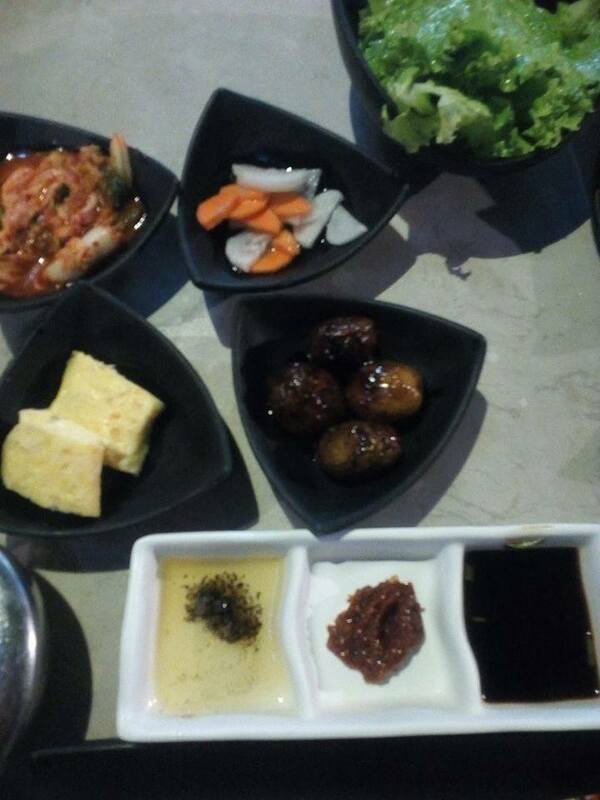 Everyone can now enjoy and taste the delightful flavors of Korean cuisine without going to Korea. Calling out to Korean beef lovers out there, the good news is out, Samgyupsal King Unli BBQ has the solution to your juicy cravings. 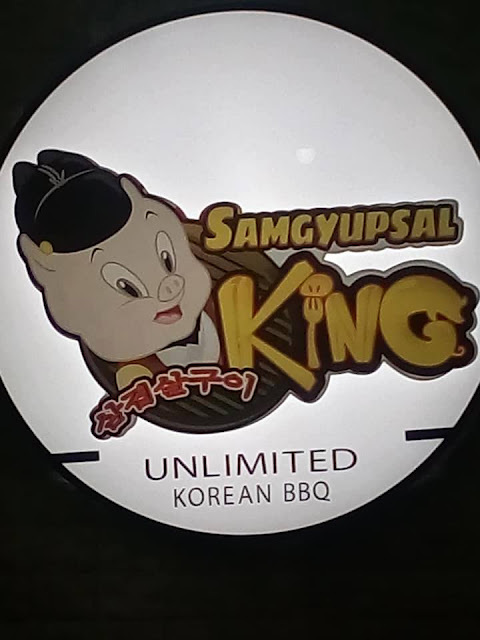 Delicious and affordable, that’s Samgyupsal King for you. Treat yourself and your cravings, and get your money’s worth for only P399. 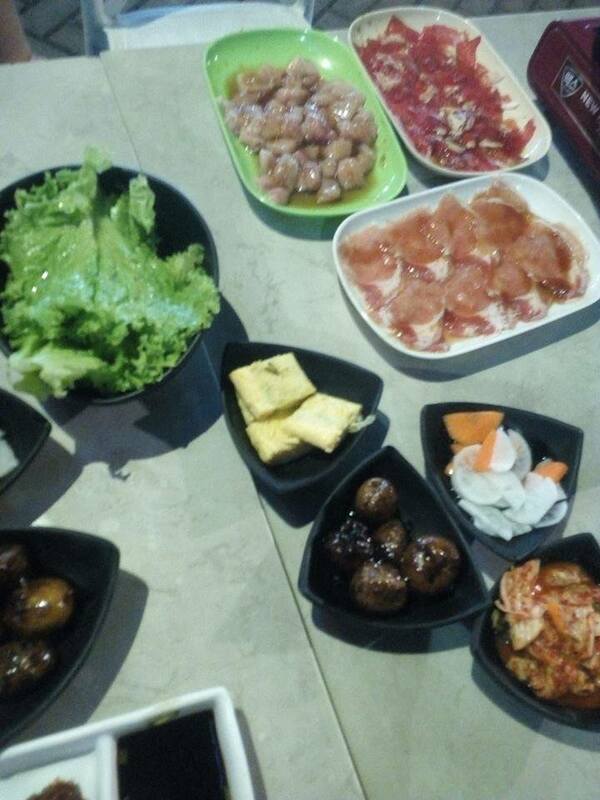 Their famous ‘Unli P399’ offer includes unlimited Korean bulgogi beef, unlipork, unli chicken, side dishes, and more.Food enthusiasts will surely get their fill of delicious Korean food to their hearts content. If you haven’t been to any Samgyupsal restaurant, or if you’re curious about why Korean cuisine is in demand nowadays,then Samgyupsal King is the first one you should try out.This is a perfect place for ‘Cook and Eat’ goers.In this restaurant, you get to bring out your inner chef skills as you, yourself, are your own cook.After they serve your order, you get to cook the food on your own, and then enjoy eating the meal afterwards. There’s no need to go to the kitchen because there are cooking grills on the dining tables where you can prepare and cook the food. The best part of all this is that the meal is unlimited, so you can request for another set of your favorite bulgogi beef and other dishes! 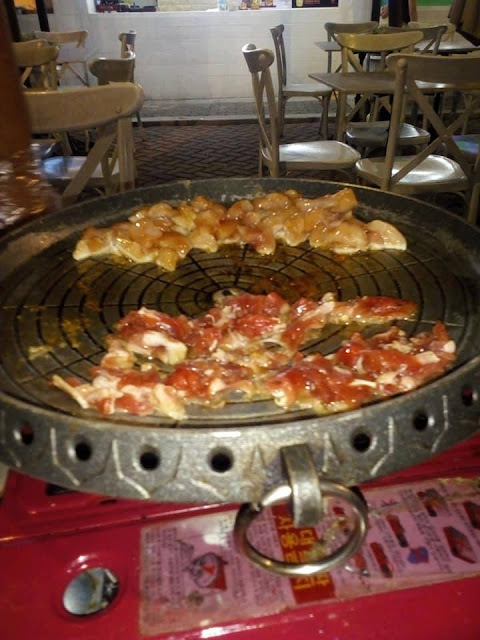 Samgyupsal King is indeed a great place to hang-out and dine-in with family, friends, classmates, and workmates. You can invite the whole squad, let them try out the Korean cuisine specialties,and have a great get-together bonding with your beloved ones. 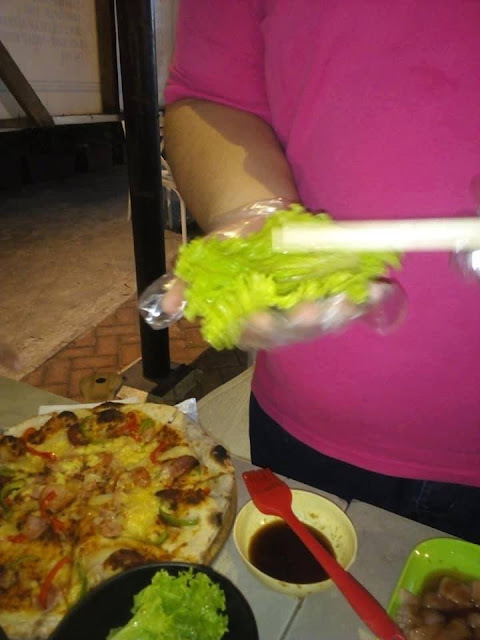 Samgyupsal King is located in Quezon City at the Lifestyle “Le Village” Park at E. Rodriguez Sr. Avenue. 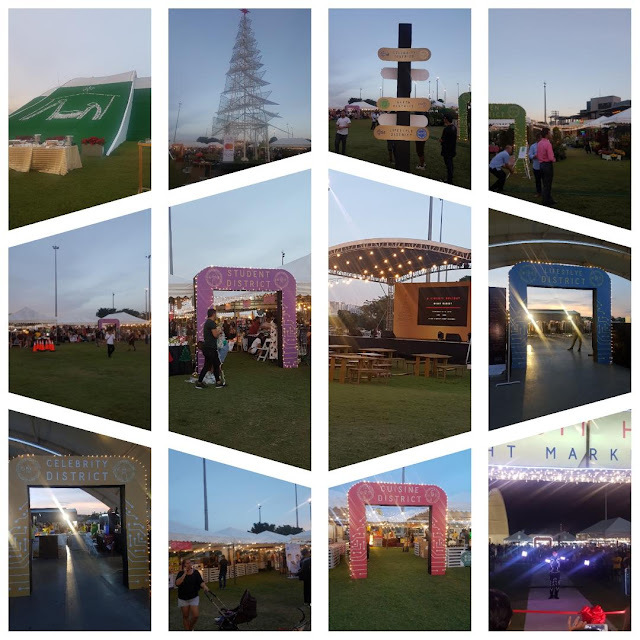 Circuit Makati hosting a special three-day sale that puts the spotlight on top brands with homegrown and handcrafted items. 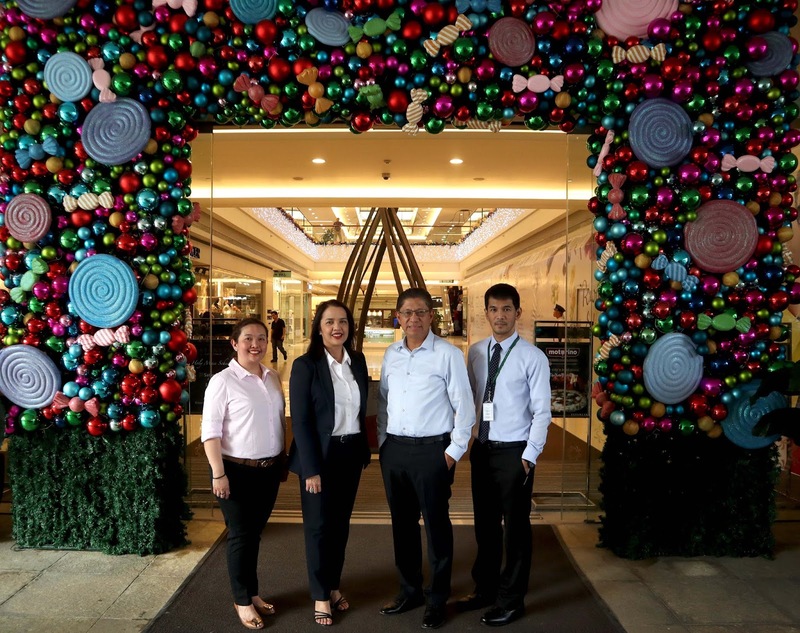 Now on its fifth year, Ayala Land ups the ante with six standout Christmas district concepts for visitors to shop and dine in and tops it off with acoustic performances for the whole night! 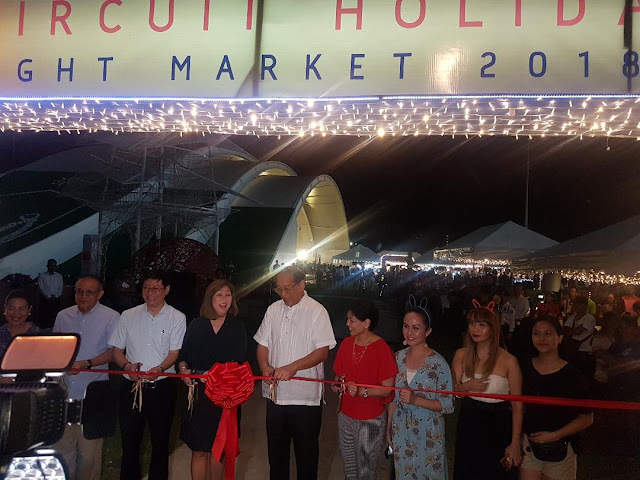 Today is the last day of the Circuit Holiday Night Market co-presented by Mastercard that was open last November 16 and open from 5PM to 12MN. 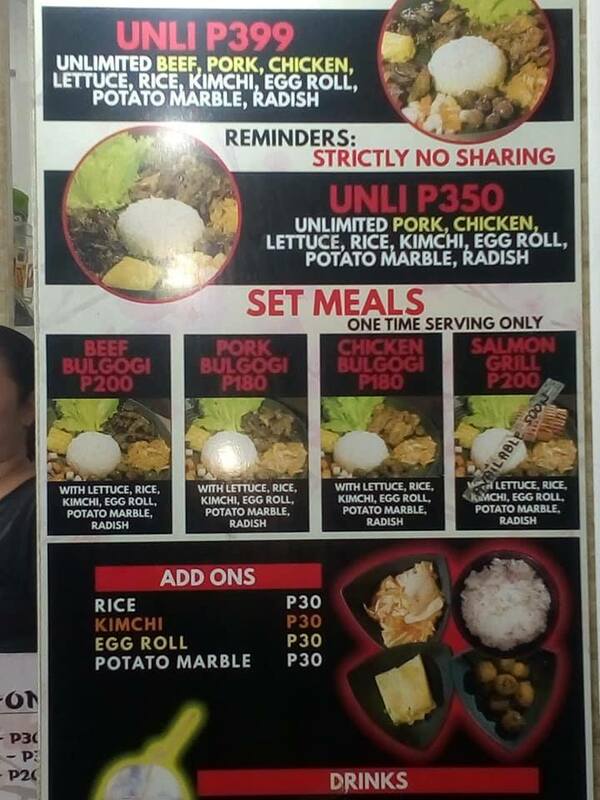 Entrance of P100 with a discounted rate of P50 for students, Senior Citizens PWD and pregnant women. 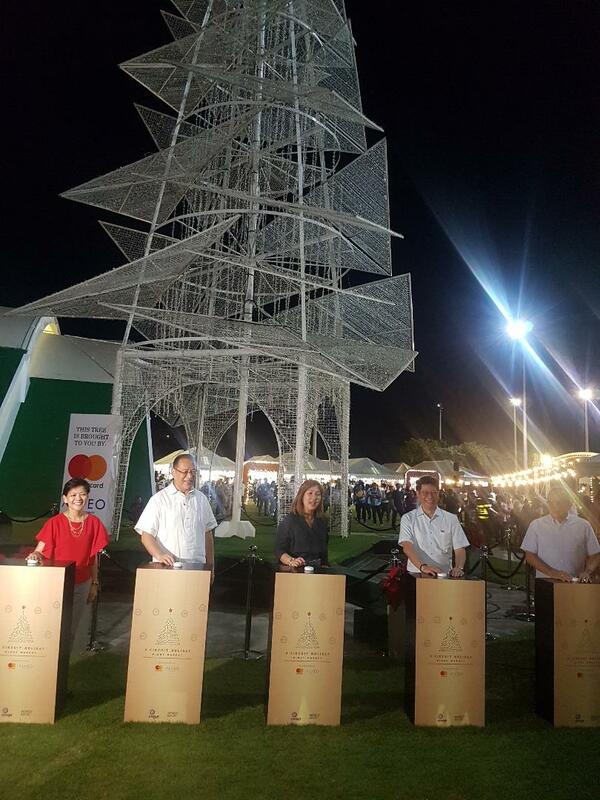 Mastercard users enter for free when they show their card at the entrance. 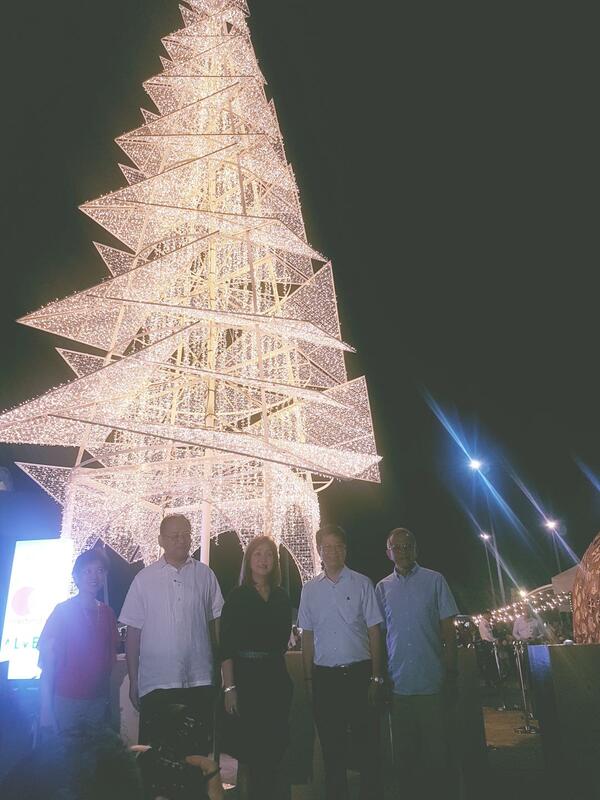 To make the celebration more meaningful, Circuit Makati light up again the tallest Christmas Tree in the city last November 16, bringing light to the Makati community and its guests. Watch out for Circuit Makati’s other events like the Manila Hip-hop Festival on November 30, OpenAir Cinema One: Music By Day, Movies by Night on December 15 and Playground 3.0 on December 22. Come and visit Circuit Makati, the place where Christmas comes alive, Make It Makati! 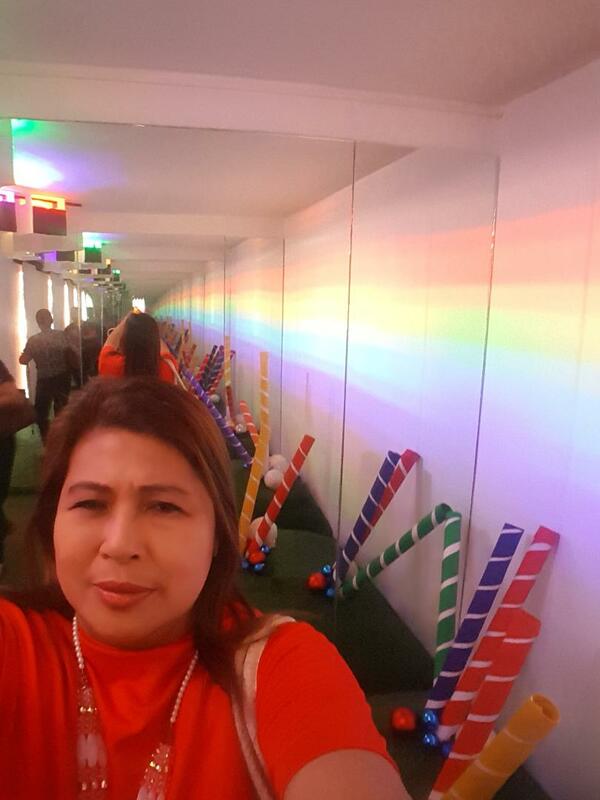 This is my first time to see the Sweet Illusion Chambers at Estacia and I feel the spirit of Christmas with its colorful decors and Christmas lights. The delectable rooms with light installations that bring to mind the candies and desserts that everybody craves for, especially this holiday season.The four secrets rooms has a unique installations and definitely every visitors to enter here will enjoy. 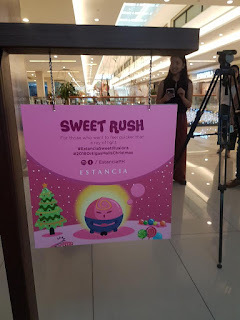 Just like me I was amazed when I enter every room last November 12 when Estancia officially unveil it. 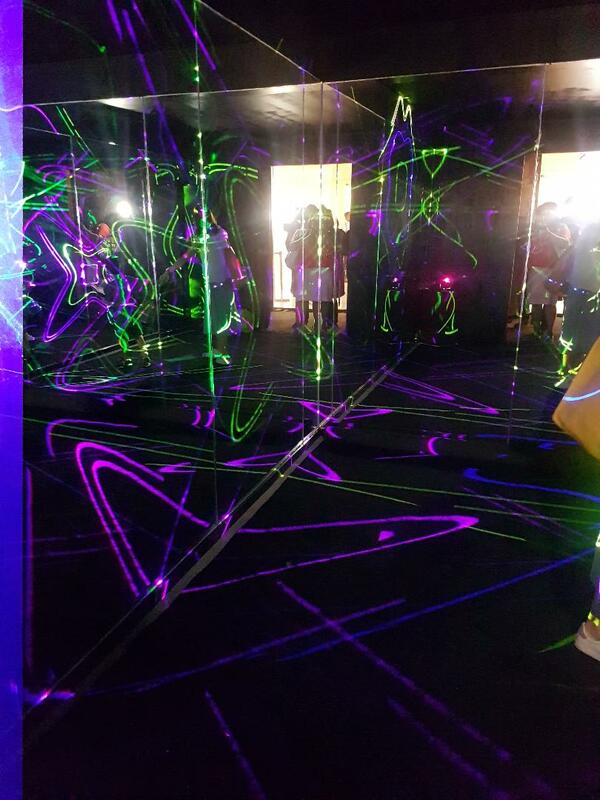 These Instagram-worthy and interactive rooms are open during mall hours and will run until January 6, 2019. 1) SPECIAL DARK (Dark Light Room) – Beckons another captivating exhibit of modern neon displays. 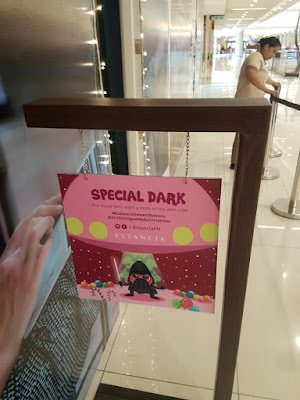 This is for those who want a taste of the dark side. 2) CANDY BLAST (Shadow Light Room) – It offers a delightful haven that transports you to a candy dreamland. This is for those who seek a sweet escape. 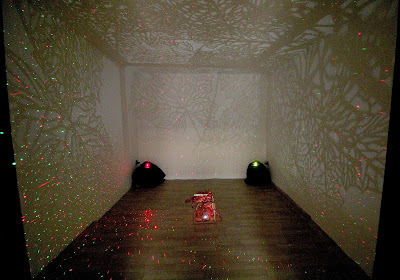 3) SWEET RUSH (Laser Room) – Promises a feeling a rush quicker than a ray of light. This room is, if you’re in search of a sweet thrill. 4) TUTTI FRUITTI OR RAINBOW (Prism Room) – Located outside Estancia along Capitol Commons Park. 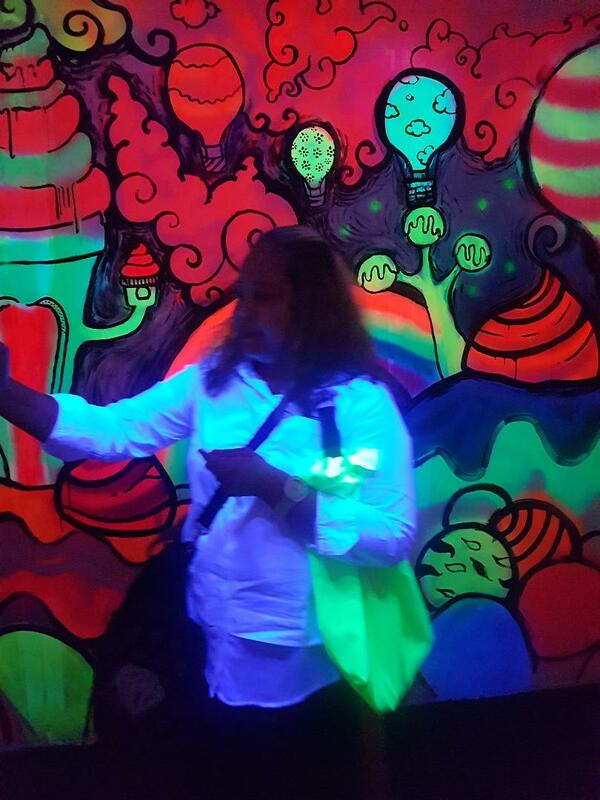 This room is for those who wish to see a pot of gold at the end of rainbow and who want to let their color shine. Just like last year a Vast Imaginarium was inspired by famous contemporary artist Yayoi Kusama’s Infinity Mirror Rooms––a four-room art installation that served as a magical journey for the imagination––recently bagged two Silver Stevie Award for Marketing Campaign of the Year - Retail and Brand Experience of the Year - Consumer for helping cement Estancia’s reputation as a lifestyle space that promotes the arts. 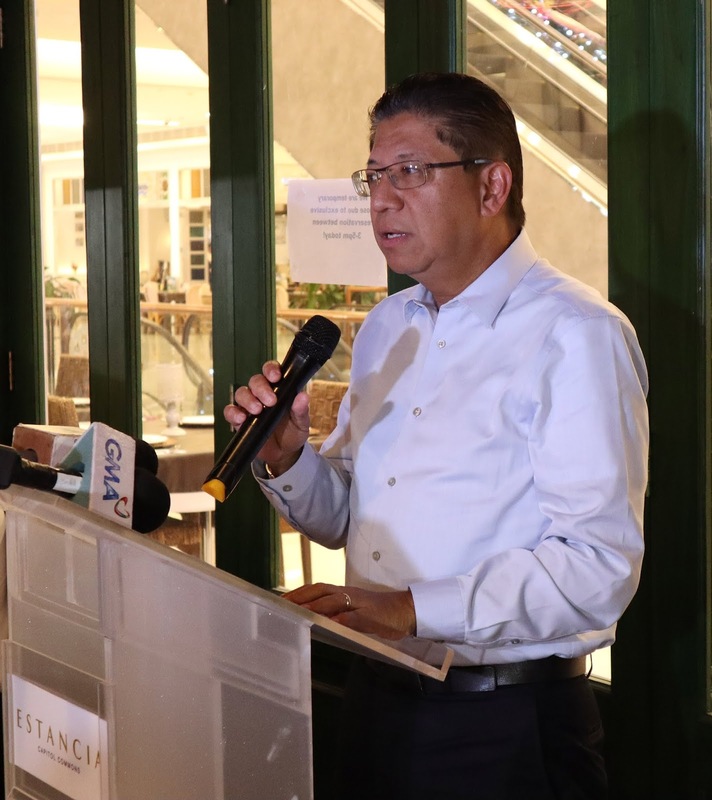 “Ortigas & Company has always valued providing accessible art to the public, through Estancia’s Vast Imaginarium rooms as well as this year’s Ortigas Art Festival; We want to continue this effort for the holidays, so we are bringing back our renowned rooms now called Sweet Illusion Chambers. Estancia has become Ortigas’ art hub that fosters creativity in the middle of the metro, and what better way to celebrate that than to launch it this season,” says Arch. Renee C. Bacani, VP of Ortigas & Company. A Keto Workshop will be held from November 30 to December 2 at the ground floor South Wing entrance from 10 a.m. to 10 p.m. True to the spirit of celebrating, the Holiday Feasts with treats, in partnership with Mastercard, will run from November 15 to January 15, 2019 at participating restaurants for families and friends alike. On December 9, a MIIS Kids Can! Bazaar will take place at the 2F Bridgeway from 10 a.m. to 4.pm. 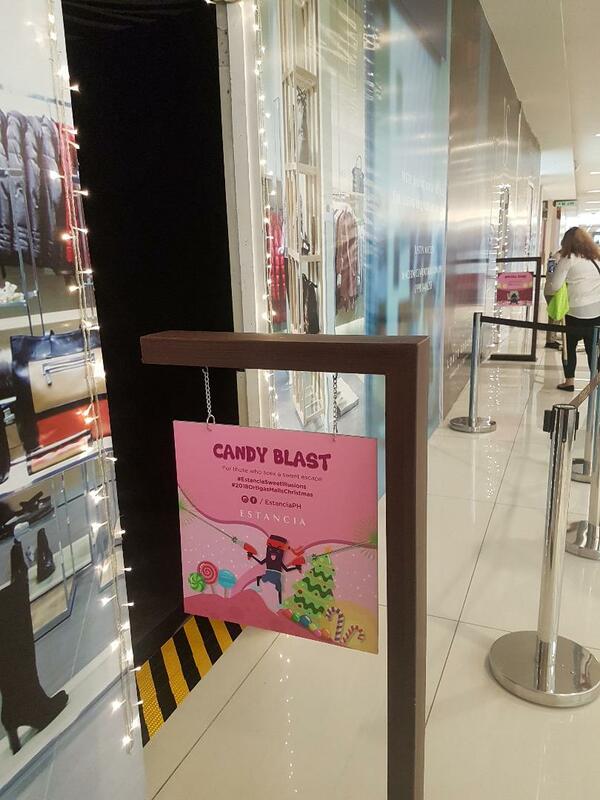 A Magic The Gathering Tournament (Day 1) Tekken Tournament will also take place at the 2F Bridgeway from December 15 to 16 at 10 a.m. to 6 p.m.
For the kids and the young at heart, get a chance to Meet and Greet Santa on all Saturdays of December at the 2F Bridgeway from 6 a.m. to 10 p.m and then watch a spectacular fireworks show at 7 p.m.
For churchgoers, a Simbang Gabi will also take place at the 2F Bridgeway from December 15 to 23 at 6 p.m.
Lastly, a lot of newly-opened stores in Estancia such as Motorino, Brow Lounge, Power Station, Anna Pashmina, Vivere Salon, and Shi Lin. In addition, new stores will be opening its doors such as Anytime Fitness, Scout’s Honor, Alba, Tim Horton’s, Haruta, among many others. 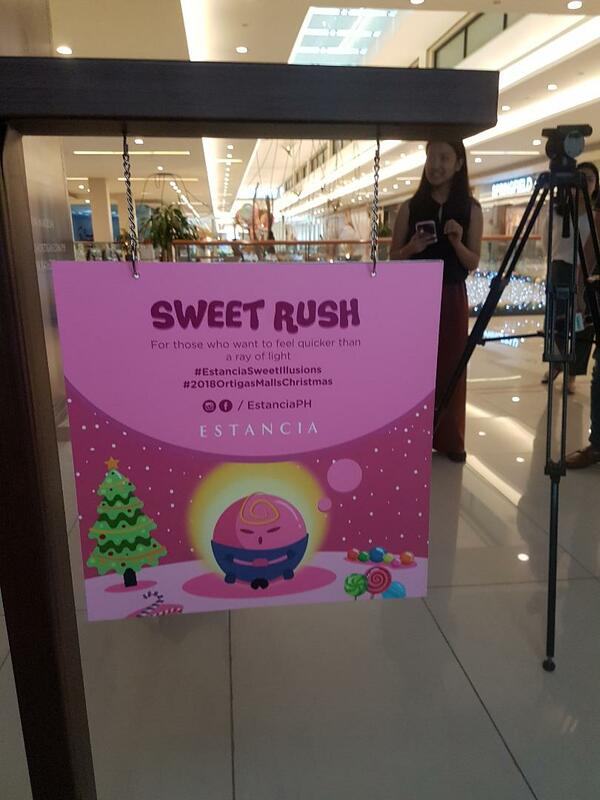 If you want to have the sweetest Christmas illusions this holiday season come and visit at Estancia! 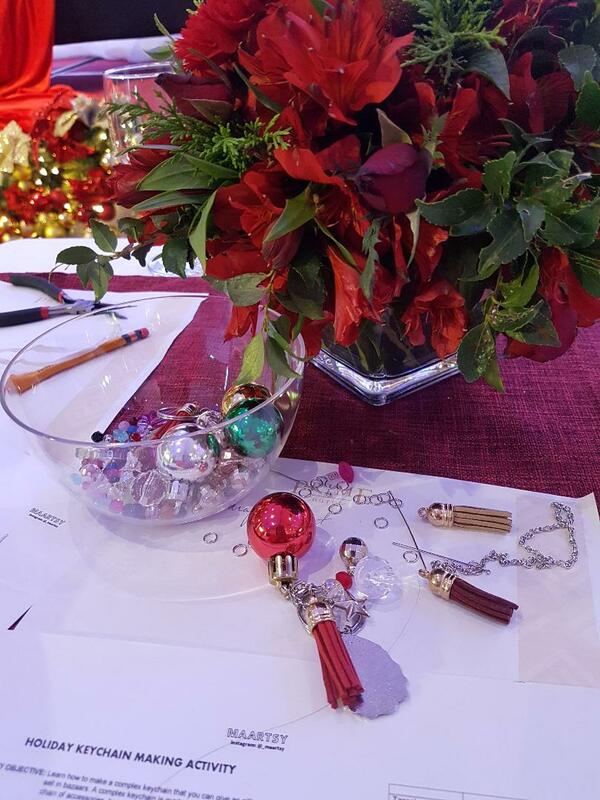 And for more information and updates, please visit and follow Greenhills on Facebook and Instagram use the hashtag #2018OrtigasMallsChristmas when posting. 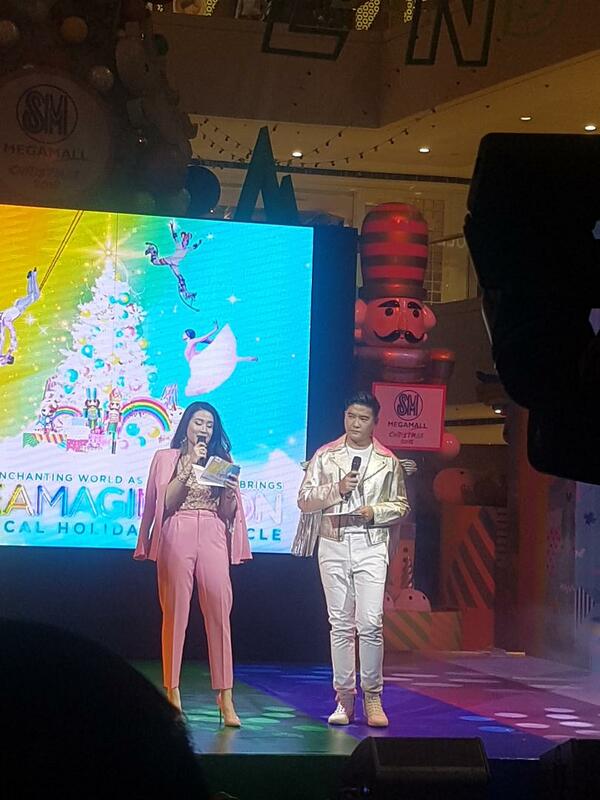 The SM Megamall shoppers including me was delighted with dreamy and magical #ChristmaSMoments during the launch of its Dreamagination: A Magical Holiday Spectacle celebration last November 8, held at the Mega Fashion Hall. 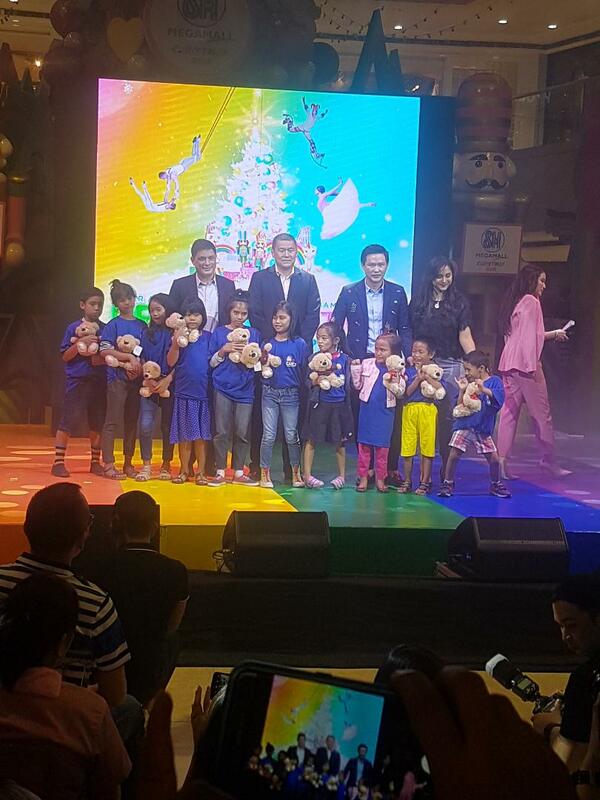 I enjoyed watching the show, there’s nothing more magical than unicorns, rainbows and candy-colored dreams. “Every year we challenge ourselves to come up with a theme that surpasses the grandness of the previous year. We are very excited with this holiday season because we know our customers would love this year‘s coIorful and magical theme," said Christian Mathay, SM Supermalls Assistant Vice President for Mall Operations. 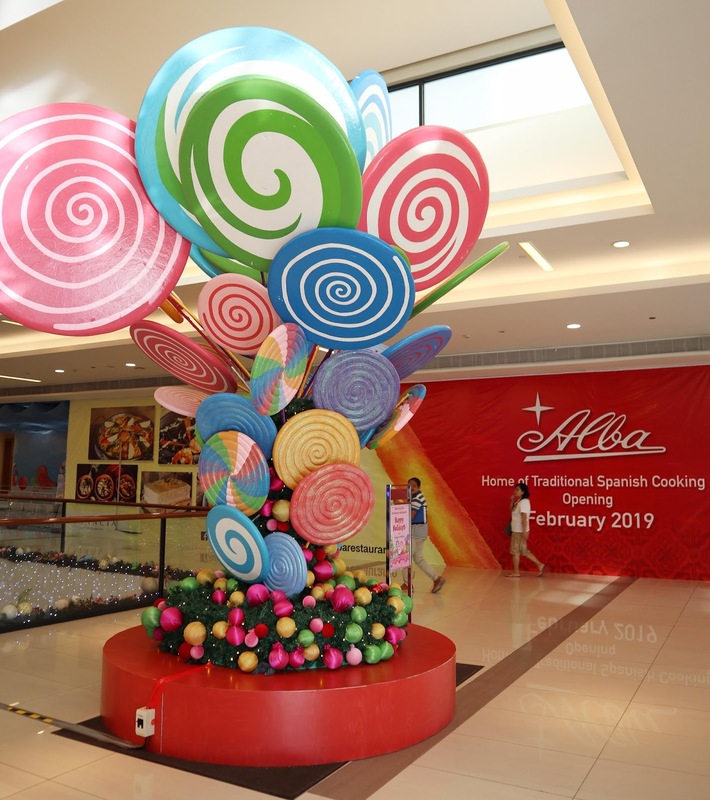 The media launch was hosted by Tim Yap and Karla Aguas, the mall unveiled its 45-foot Christmas centerpiece, adorned with candy-colored jewels, rainbows, and iconic unicorn and toy soldier dolls. 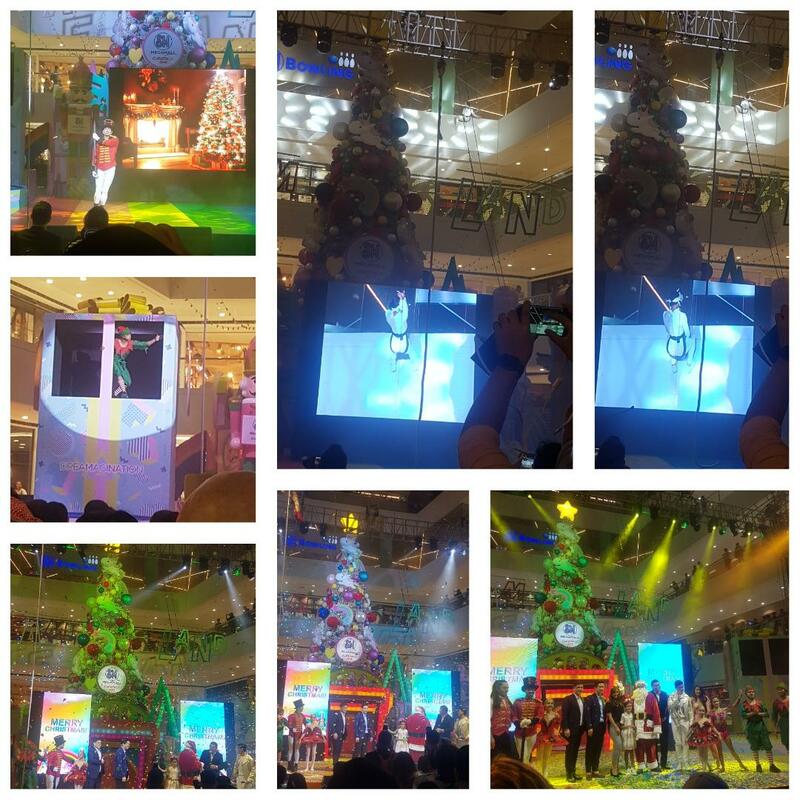 SM Megamall welcomed the holidays with whimsical performances by local and international acrobats, such as the Twin Ballerinas Annika and Tisha; Eric Aranas as Toy Soldier and parkour stunts by members of Ninja Academy as Elf Jumpers; the awe-inspiring acts by global Vertical and Trapeze Dancers; and spiral pole and rope dancer Kristel De Catalina of Pilipinas Got Talent season 6. Definitely I will share this dreamy and magical with my family, friends and officemates. 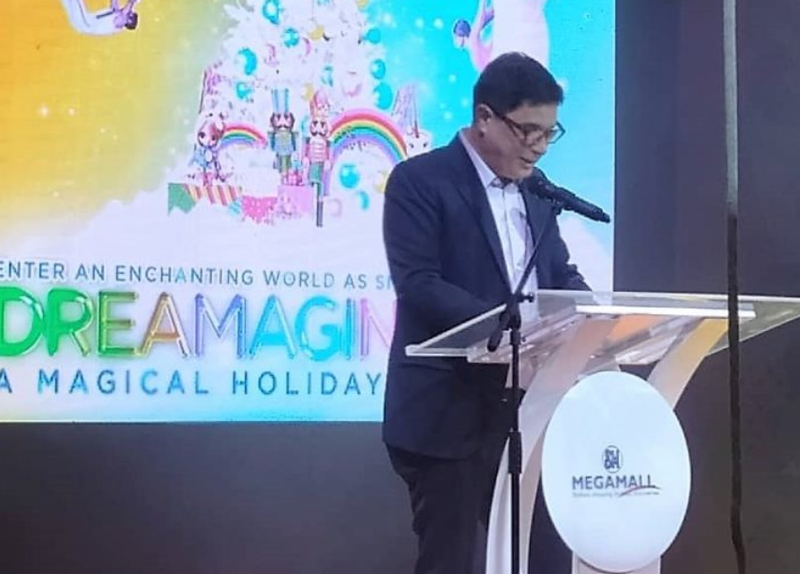 This season more exciting events await shoppers exclusively at SM Megamall! Mallgoers are invited to visit the DC Justice League Christmas Capers for a Chance to play fun, interactive games. 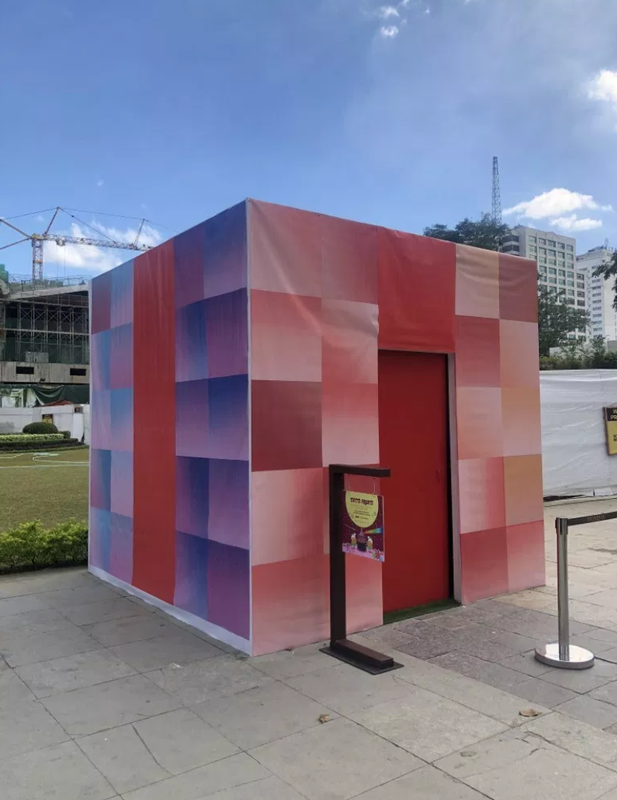 You can grab latest Justice League merchandise at DC pop up stores at The Event Center, Mega A and The SM Store, Mega B at the Event Center from November 16 to January14, 2019. Follow SM Mega Mall thru their Facebook, Instagram and twitter @SMMEGAMALL and use the hashtag: #PARTYMEGA and #LIVEMEGA.